Mark is a Husband and father of two very active and fun boys for which he is grateful for their love of sport and football in particular. Mark is a keen follower of football, supporting Walsall Football Club and because of a lifetime of watching lower League football; he is also an avid fan of Manchester United. Mark describes his family as his life and he loves spending as much time as possible with them. Outside of his family, Mark is an enthusiastic reader, enjoys solo cycling, meditation and Texas Hold-Em Poker, as well as sampling fine food and fine wine. Mark is also a huge believer in personal development and giving back having benefitted from the guidance and mentorship of others throughout his career. Mark enjoys the challenge of mentoring in schools, universities and businesses within the Midlands and raising money for many charitable causes. Mark joined Littlefish as Sales & Marketing Director and Co-Owner in January 2017 and is responsible for building our Sales & Marketing function and spearheading our growth objectives. Having studied Psychology as part of his University studies, Mark also has a keen interest in all things people related and, in particular, is very passionate about personal development and employee wellbeing and so also oversees our people related initiatives within Littlefish. Prior to joining Littlefish, Mark’s career in IT Sales spans some 17 years, during which time Mark served on the UK board of NextiraOne, until its acquisition by Global SI Dimension Data, where Mark served as Managed Services Director in their UK business. 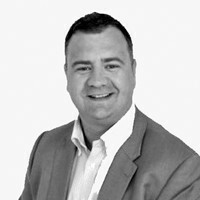 Mark is an award-winning Sales Director, successfully achieving the coveted Institute of Directors (IoD) Director of the Year Award for SME’s in the West Midlands in 2013 and also recognised in the Insider Midlands 42 under 42, class of 2012. Today Mark works with clients and prospects to improve the performance of their business, by delivering service assurance to their users and giving clients greater clarity and control over their IT estates, working together to enhance operational maturity within their IT organisation.